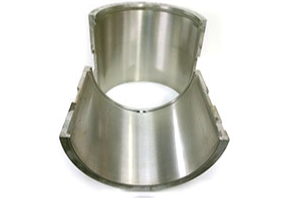 Babbitt Bearing Supplier | Quad industries Inc. 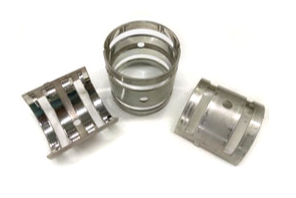 Since 1909, the Quad Industries Inc. team has produced the finest Babbitt bearing products using and 100% Babbitt metal and American made tooling and processes. We take pride in our continued ability to work with clients to manufacture the exact product that they need. Whether you need a single component to complete your project or a mass quantity to get the job done, you can rely on the experienced staff at Quad Industries Inc. for all your needs. In 1986, Quad Industries Inc., was founded when four industry professionals purchased a manufacturing business that had been in action since 1909. Regardless of our vast experience in Babbitt bearing manufacturing, one thing has not faltered since 1909 — the unwavering dedication to customers. 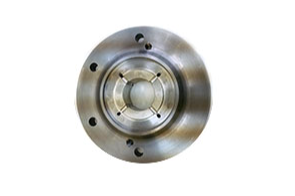 As a smaller manufacturing facility with large production capabilities, we are known for our quick response time and personal customer attention. Continuing our dedication to client satisfaction, Quad Industries Inc. has been ISO certified since 1998. Our team works diligently to secure this certification year after year in an effort to provide clients with the utmost quality, customer service, and attention to detail. At Quad Industries Inc., every member of our team strives to ensure that your project is completed on time and exactly to your desired specifications. 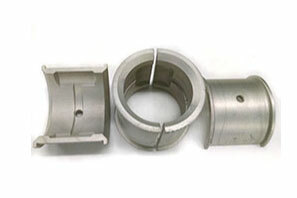 From management to machinists, we each work meticulously to manufacture the perfect solution for your particular need. On top of master craftsmanship, we guarantee that you can rely on our team, services, and products for all of your manufacturing needs. We look forward to discussing your needs with you. We’re confident you’ll find our staff and manufacturing facility to be exactly what you’re looking for. Contact us today by calling 1-800-344-6222 or using the contact form below.